Kandinsky develops his theory in a peculiar language, where geometrical, physical, aesthetic, and spiritual concepts coexist naturally. This so-called synesthetic text is not just academic theorization, but observations and conclusions supported by experience of a reputable artist. 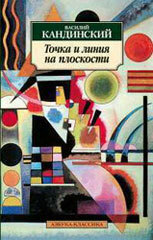 Kandinsky reflects on creating “the science of art” or “artistic science”. As for practical application, the artist’s paintings displayed today in museums are his true scientific experiments. Allocating art** as an independent world existing along with nature, Kandinsky expresses his confidence that these two worlds will eventually find common rules of the “world composition”, elaborating the great world order of the external and the internal. 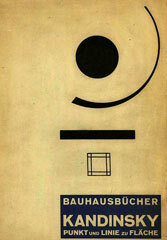 * basic plane is "the material plane which concept is called upon to receive the content of the work of art". ** obviously, the artist means abstract art, since, according to him, objective art is “impossible to incorporate completely the inner of one realm into the outer of another”. 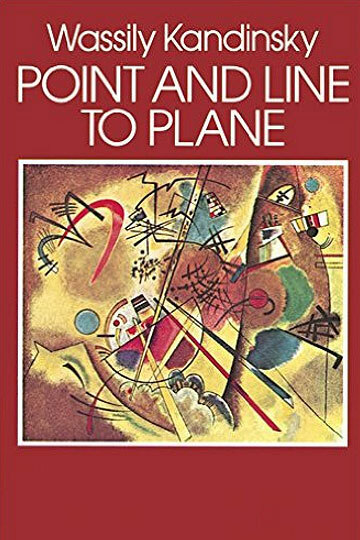 READ "Point and Line to Plane"
BUY "Point and Line to Plane"